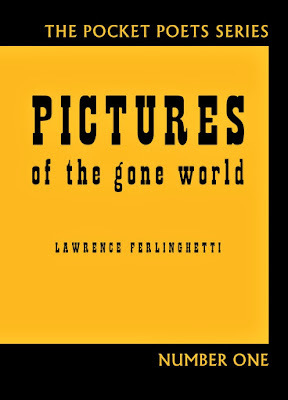 Lawrence Ferlinghetti, Pictures of the Gone World (The Pocket Poet Series, Number One). San Francisco: City Lights, 1955. A salute to Ferlinghetti, who is ninety-nine years old -- born on March 24, 1919. Graduated from the University of North Carolina at Chapel Hill in 1941. I saw him give a reading in Chapel Hill in the 1980s, when he was but a young lad in his sixties. Afterwards, he signed my copy of Jack's Book. (I also remember when Harlan Ellison came to town to write a story based on a given first line -- but that's another story). And now it's time to turn to pictures of another gone world, a University Square of the Mind, as it were. University Square was an entry point for me, I liked the area for parking, sitting with cups of coffee, writing in journals. 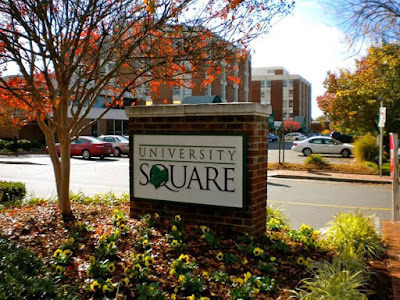 And now it's gone, gone, gone, transmogrified into "Carolina Square." 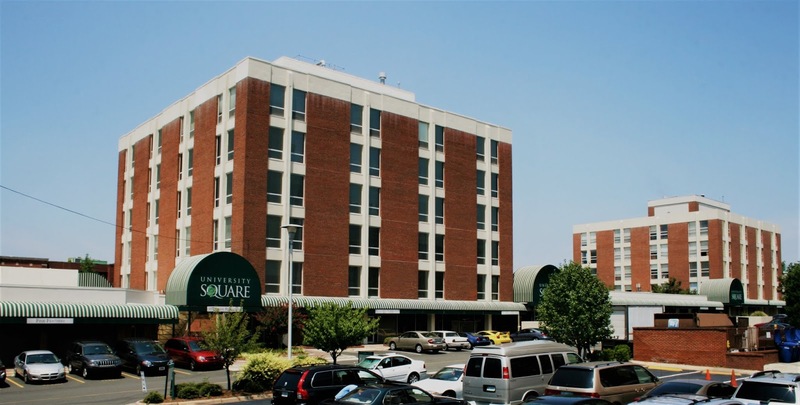 The buildings and entire complex that comprised University Square were demolished in 2015. So let's do the Proust thing and bring back some of the names of that lost world. In the 1980s, let's say around 1983, you could walk from Columbia Street along Franklin Street on the "north" side, going toward Carrboro, and you'd pass Logo's Book Store (Christian books? ), Mr. Gatti's Pizza, the Yogurt Pump, a jewelry store, an electronics store, the entrance pathway to He's Not Here (which always made me think of the Alamo - lots of stories to go with He's Not Here); a Pizza Hut, a sporting goods shop, the Pump House, a funeral home, McFarling's Exxon, Hunam's Restaurant, and a parking lot that ended with Church Street. If you kept going, you'd pass another parking lot, a telephone building, Peppi's Pizza, Woofer & Tweeter, a Gulf station; Fowler's Food (giant deli type meat place), McFarling's garage, Chapel Hill Rare Books, Martin Keith Book Shop, a florist, Phoenicia Restaurant, Village Pharmacy and Noel's Sub Machine. The only place left standing from the previous paragraph is He's Not Here. Let's walk back to the intersection of Columbia and Franklin and cross the street to the "south" side. Just at the corner is a large Baptist Church (still). Back around 1983, there was next a beauty salon (Scissorium) of which I remember nothing except that maybe it was a small single story stand alone. 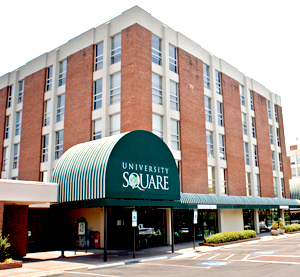 University Square was divided into three large sections: University Square East, University Square, and University Square West. The anchor for East was a CCB (Central Carolina Bank) Bank with ATM designed to trick students into overdrafts (or so it seemed to students). East included Kemp Jewelers: Circle Travel (anyone wonder about travel agencies? This was one and I went in there occasionally); the Chapel Hill barbershop; Aesthetic Styling Salon; Cabana Tanning Center; Monkey Business -- never went in that one and have no idea what it was pitching. University Square [Central]. Time-Out Restaurant was a 24-hour place with biscuits and salty kinds of college student food. The aroma of fresh buttered biscuits perpetually hovered about. There were green and white awnings that fringed the roof edges, and cool passageways that let you cross through to the back side of the complex, one of my favorite design features that I often took advantage of -- built-in desire paths. Time-Out still exists but has moved to where Hector's once stood, at 201 East Franklin at Henderson, across Henderson Street from the US Post Office. Swensen's Ice Cream was one of the those old-fashioned places that left me bewildered -- a lot like Mayberry's. There are three Swensen's left in the entire USA, as of this post. Mayberry Ice Cream is down to a couple left in North Carolina, I think. Other places in the middle section: Ken's Quickie Mart; Knit-A-Bit; Second Sole (shoe repairs, I think); Cameron Craft. The Painted Bird had various types of cool little things, arts type goodies. I think they had stationary and cards, too. And there was my favorite University Square hangout of all, on the side facing away from Franklin Street: The Looking Glass Café. More on this at some point, I suspect. The scent of fresh coffee permeated. There's a place with the same name now open in nearby Carrboro, at 601 West Main Street. I'll have to inquire to see if they are connected in some direct way, or even indirectly by inspiration. University Square West. Little Professor Book Center. I frequently ducked into this and many of the other Chapel Hill book and record stores. At its peak, there were more than one hundred Little Professor book stores around the USA; there are now (in July of 2018), as far as I can determine, three left. Other stuff: Tyndall's Formal Wear (rentals, mostly); Shoe Doctor; University Opticians; Fine Feathers - clothes; and T'Boli Imports. The last one had lots of wine, if memory serves. I have no idea what was in the upper floors of the main buildings: offices, apartments, condos? University Square: gone but not forgotten. Anyone who has any idea of what the above is about, please add details, memories, observations. And if not about here, how about somewhere that you once knew that's now part of another gone world? Photos: "Downtown Chapel Hill" website; University Gazette (2008); Wiki Commons (July 28, 2008). Invaluable resource to cross-check memories, places: OCCUPANTS AND STRUCTURES OF FRANKLIN STREET, CHAPEL HILL, NORTH CAROLINA AT 5-YEAR INTERVALS, 1793-1998, by Bernard Lee Bryant, Jr. Chapel Hill Historical Society, printed out by J.D. Eyre in 1999. Link here.